Have You Received A Moving Violation? FIGHT YOUR TICKETS WITH AN EXPERIENCED TRAFFIC VIOLATIONS LAWYER! In the State of New York, driving is a privilege, not a right. Because of this, the State reserves the right to suspend or revoke this privilege based on a driver’s traffic convictions. A moving violation is one of the many types of offenses that can cause you to have this privilege taken away. DON’T PLEAD GUILTY. FIGHTING YOUR MOVING VIOLATION TICKETS IS AS EASY AS 1-2-3! • Submit your tickets to our website or via Tickets@RiccaLaw.com. • Receive a free telephone consultation within 24-hours of your ticket submission. • If you decide you want to fight your moving violation(s), simply: E-Sign the Retainer Agreement and E-Pay your Attorney Fee. Moving violations may not seem like they are a serious offense. However, the DMV and law enforcement do not agree with that. Being convicted of a moving violation has consequences that range from financial burdens to criminal records.  It all begins with the New York State point system. Designed to help law enforcement officials identify high-risk, repeat offenders – this system assigns specific point values to violations of the Vehicle and Traffic Law (VTL) that governs New York roadways. There are a few things you should note, however, about how these points work. While a specific offense comes with a pre-determined point value, you only accrue these points if you plead or are found guilty of the actual violation. If you are convicted of the traffic offense, the points are retroactively added to your record on the date the actual violation occurred. They are not added as coinciding with your conviction date. Eliminating the potential points is one of the biggest reasons you should hire an experienced traffic attorney to fight your moving violations. With The Law Offices of Michael H. Ricca P.C. on your side, fighting your tickets is easy. Keep reading to find out more! If you accumulate 11 points or more on your license with dates of your violation(s) occurring within an 18-month period, your driver’s license will be suspended. License suspensions can be definite or indefinite. A definite license suspension comes with a pre-determined beginning and end date, after which you can pay your suspension termination fee and have a valid license again. For an indefinite license suspension, you will not be provided with an end date. Instead, the order you will receive will outline what actions you need to take in order to have your license made valid again. This may include paying a fine, responding to a violation, paying your state tax debt or other such items. You will need to pay a suspension termination fee as well once you have completed the actions provided with your license suspension order. But a suspension is not the worst thing that can happen with your license. A license revocation is the more serious version of a suspension. That is because a revocation actually cancels your license, forcing you to have to reapply for one once the revocation period has ended. However, before you can obtain a new license, you must first request approval from the Department of Motor Vehicles (DMV) Driver Improvement Unit (DIU). Based on your driving record, however, approval is not always guaranteed. In addition, you may need to re-take the written exam at the DMV as well as pass a road test once again.  The New York State Driver’s Assessment Fee Can Cost You Hundreds of Dollars In Addition To Fines, Penalties, And Surcharges! The Driver Responsibility Assessment is a fee you must pay to the DMV over the course of a 3-year period if you are convicted of certain traffic offenses in New York State. It is also a mandatory fee you will be instructed to pay if you accumulate 6 or more points on your driving record within 18 months. This fee is in addition to any fines, penalties, or surcharges that you must pay for a traffic conviction. If you receive 6 points on your driving record for violations committed during a period of 18 months, the annual assessment fee is $100 for a period of 3 years. The minimum amount that you must pay each year is the annual assessment, meaning you could potentially pay the entire 3-year maximum in a single year. The total assessment for the 3 years is a minimum of $300. If you receive more than 6 points on your driving record during a period of 18 months, the annual assessment fee will include an additional $25 for each point over the original 6 points. Let’s look at an example. Reckless driving, which is a moving violation of VTL 1212, is a 5-point ticket that can be issued if you are caught knowingly driving in a dangerous manner. Let’s say you were driving 55 MPH in a 25 MPH zone (6-points) on a rainy day. In addition to your 5-point reckless endangerment ticket, you can also receive the 6-point speeding ticket. That gives you a total of 11 points against your license. Not only are you facing a mandatory suspension if you are convicted; you are also looking at an annual assessment fee of $225 for the next 3 years, as you have accumulated an additional 5 points over the initial 6 points at $25 per additional point. That is a total of $675 over 3 years! If your license was not already suspended, failure to pay this fee will result in a suspension. If your license was already suspended, however, failure to pay this fee will prolong the suspension. Most New York drivers are already paying too much for car insurance. Moving violation tickets are looked upon unfavorably by insurance companies. If you are convicted of even one moving violation, your insurance premiums will increase substantially. In fact, some studies have found that a single violation can increase your insurance premium by 22%! It is best to try and avoid having a moving violation conviction on your license if you do not want to have to pay increased insurance premiums. I Received a Moving Violation Ticket – Will I Have Points Added to My License? Yes. In fact, points stay on your record for 18 months. And, as pointed out above, point accumulations can have serious repercussions. In fact, most of the potential consequences of a moving violation or other traffic infraction kick into effect because of the points they accumulate. If you have no other reason, simply preventing the accumulation of points is reason enough to hire The Law Offices of Michael H. Ricca P.C. today! I Received a Moving Violation Ticket – Will My License Be Suspended Or Revoked? Possibly. Some moving violation convictions carry an automatic revocation of your driver’s license. In addition to this, depending on how many points your moving violation adds to your driving record, you may face a license suspension. All it takes is 11 points for your license to be suspended. These points add up quickly too, so avoiding any type of conviction is ideal. If you are in the probationary period of your driver’s license and plead guilty or are convicted of a moving violation, your license will be suspended. An example of a moving violation that will result in a mandatory 1-year license revocation is driving without insurance (VTL 319-1). 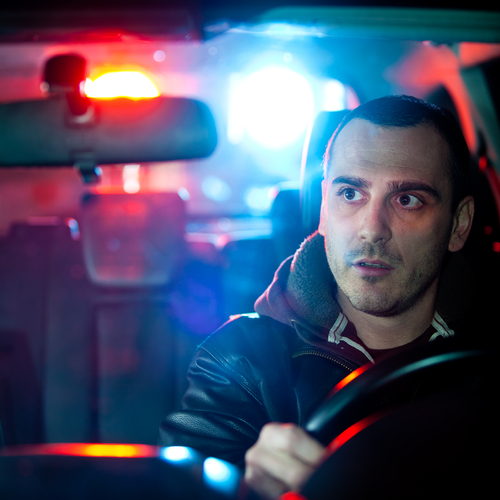 I Received a Moving Violation Ticket – Will I Go To Jail And Have A Criminal Record? Possibly. Depending on the actual moving violation, a license suspension or revocation and Driver Responsibility Fee (as discussed below) may be the least of your worries. Some moving violation offenses are misdemeanor offenses while others are felony offenses. These are serious charges that could cause you to have a criminal record. It is important to remember that having any type of criminal record has serious consequences that can extend beyond your ability to drive. A criminal record can cause you to lose your job, putting additional financial burdens on you and your family. It can also cause you to be denied admittance into college, loans, and housing. Whether you were convicted of a felony moving violation or more serious felony offense, a criminal record is still a criminal record in the eyes of the law and other public and private entities. Avoiding a moving violation conviction, especially a felony moving violation, is essential to you and your family’s long-term well-being. The Law Offices of Michael H. Ricca P.C. understands that a moving violation conviction means more than just the initial fines, penalties, and surcharges. With the potential for jail time and a permanent criminal record, a moving violation conviction can have life changing impacts. This includes the loss of employment and financial instability. Trusting your moving violation case to self-representation or a public defender may not be in your best interest. With The Law Offices of Michael H. Ricca P.C., your case receives the care and attention it deserves. In addition to this, hiring The Law offices of Michael H. Ricca P.C. gives you access to the best Nassau County moving violations attorney. With our tireless representation and dedication to each and every moving violation ticket, we can help you reduce, if not eliminate, a moving violation conviction. Call us today for your free telephone consultation so we can obtain the best possible outcome for your moving violations.